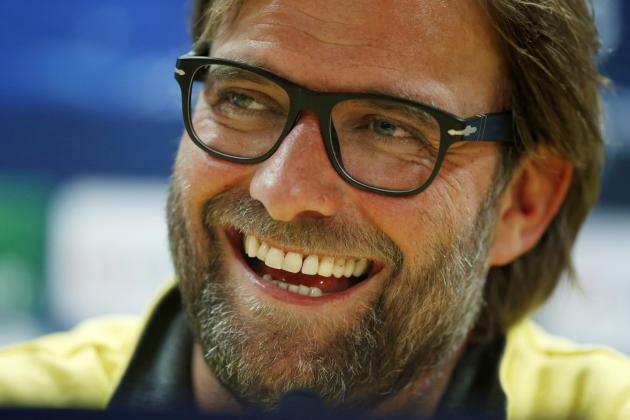 Football previews: Will Klopp be Tip Top or a Kop Flop? Soccer previews: Will Klopp be Tip Top or a Kop Flop? The international break is almost at an end with a mouth-watering selection of fixtures announcing the return of league football in style this weekend (incl. the Premier League), and bet365 are offering a host of fantastic betting and Live Streaming opportunities! The fixture grabbing all the headlines at the moment is Tottenham v Liverpool, as Jürgen Klopp takes the reigns at Liverpool in what will be his managerial debut in the Premier League. The Normal One was welcomed to Merseyside with rabid anticipation by Liverpool fans and the German has promised the Anfield faithful a title in the next four years. The weight of expectation will be enormous for the former Dortmund manager, but whether he can deliver three points at the weekend using the current Liverpool squad is debatable. Tottenham are arguably one of the form teams in the league at the moment, beating first placed Manchester City in a 4-1 thriller recently. Liverpool are without captain Jordan Henderson and summer signings Christian Benteke and Roberto Firmino whilst Spurs are without Son Heung Min and a few periphery players. Spurs are narrow favourites to take the win at White Hart Lane at 7/5 (2.40) and are unbeaten at home in the league this season, whilst The Reds are a touch longer at 15/8 (2.87) with bet365. Many will be backing Daniel Sturridge to find the net again this weekend after scoring two goals against Villa recently and he’s 5/1 (6.00) to score first or last and 6/4 (2.50) to find the net anytime. Having forced his way into the Spurs squad and more recently the England team, Dele Alli has seen plenty of speculative backing to score this weekend, and he’s 10/3 (4.33) to do just that. Chelsea will be looking to get back to winning ways after a disastrous few weeks, and are 1/3 (1.33) with bet365 to break their duck against Aston Villa in a particularly inviting home fixture. Villa have lost their last four Premier League games and since their opening day win against newly-promoted Bournemouth have gained just one point from seven matches. In the last six seasons Chelsea have won their home matches against Aston Villa by an aggregate score of 24-8, and both teams have recorded only one clean sheet each this season in the league, so goals should be on the cards. Eden Hazard is 11/2 (6.50) to net first in the encounter, and scored in both games during the international break for Belgium with two assists and a goal in his last three Premier League matches. A slightly riskier option to consider though is Willian at 10/1 (11.00). He has scored Chelsea’s last three goals, and also bagged a brace for Brazil in their World Cup Qualifier this week against Venezuela. Over in La Liga title heavyweights Real Madrid and Barcelona are both suffering injury crises and entertain Levante and Rayo Vallecano respectively. bet365 will be Live Streaming all the action so you can watch the likes of Luis Suarez, Neymar and Ronaldo as they blitz through their competition at will. News from Spain this week is suggesting that Barcelona are in big trouble, with many of their key players facing time on the side-lines with injuries. Summer signing Arda Turan is still not able to play for the Blaugrana and it’s being reported that Barca will petition the Court of Arbitration for Sport to overturn their transfer embargo in a last-ditch effort to bolster their squad. In spite of this, they’re heavy favourites to dispatch Rayo with ease and are priced 1/7 (1.14) to take the three points on Saturday. Suarez and Neymar are both expected to start and both find themselves short-priced to score in the encounter, with the Uruguayan coming in at 2/5 (1.40) with bet365 and Neymar priced at 4/11 (1.36). Los Blancos will be lining up without the likes of Karim Benzema, James Rodriguez, Luka Modric and centre back pairing Ramos and Pepe which may leave Real Madrid manager Rafa Benitez with a selection headache on Saturday. Regardless Real are 1/12 (1.083) to come through on the day and 13/8 (2.62) with bet365 to do so with Levante managing to notch a consolation goal. bet365 are also streaming plenty of Bundesliga action this weekend with the highlight being Bayern Munich’s trip to Werder Bremen. Bayern’s season so far has been spectacular and many fancy them to lift the Champions League come the end of the season. The Bavarians will be keen to maintain their 100% start in the league and they are 1/5 (1.20) to do so, with the aggregate score from their last three trips to the Weserstadion 13-0. Thomas Müller has been in imperious form for Bayern this season, scoring 10 goals in 11 games in all competitions and he is 3/1 to score first on Saturday. Equally Robert Lewandowski is arguably one of the hottest properties in international football at the moment and his sensational performances this season have seen him net 16 goals in just 11 games in all competitions. With the mercurial Polish captain being in such staggering form, he is the favourite to open the scoring on Saturday at 2/1 (3.00). All of the fixtures in the Premier League, La Liga, Bundesliga, Serie A and Champions League are eligible for bet365’s fantastic Euro Soccer Bonus offer which pays a bonus of up to 100% on multiple bets placed with bet365. The excellent Bore Draw Money Back offer is also available on any football match with bet365, which offers refunds on bets placed on certain markets are refunded where a match ends 0-0, ensuring that a bore draw is never the worst result for your bets! New customers can take advantage of the industry-leading 100% deposit bonus, which allows customers to claim a bonus on their first deposit, and customers enjoying bet365’s mobile products can take advantage of the On The Move Bonus which matches the first qualifying bet placed on the premium mobile site with a bonus. Whatever football you decide to bet on this weekend, bet365 is sure to offer a betting experience that’s unparalleled. For more information visit www.bet365.com.